If you live in the North East, where residents woke up to snow today, spring may seem like a distant dream. But in other parts of the country, it is here and here to stay. Regardless of where you live, it’s time to start thinking about how to prepare your outdoor space for spring and summer activity. 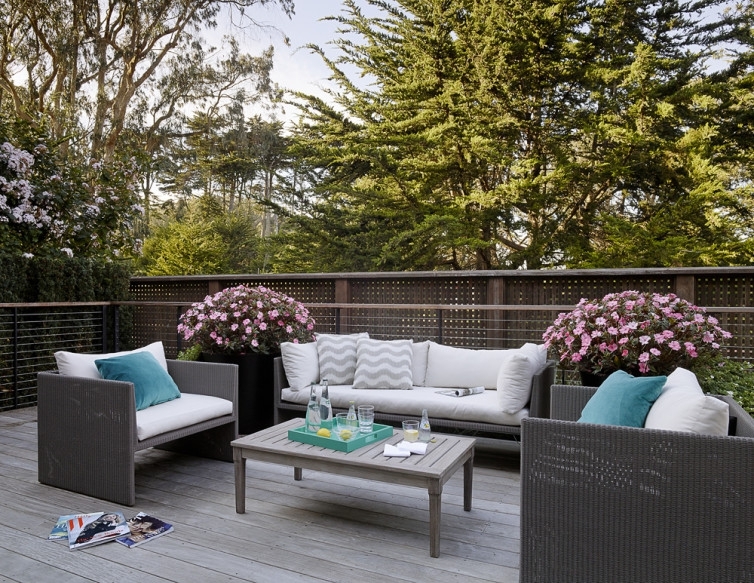 Today, we thought we’d take a look at some beautiful outdoor spaces designed by Decorist designers to give you some inspiration. One of our favorite outdoor spaces is the covered outdoor dining above, a Los Angeles pool house designed by Studio LIFE.STYLE. With beautiful bones thanks to elegant archways and patterned floor tiles, the space only needs a few simple modern elements like a cement dining table, wishbone chairs, and a bushel of olive branches to make it interesting. 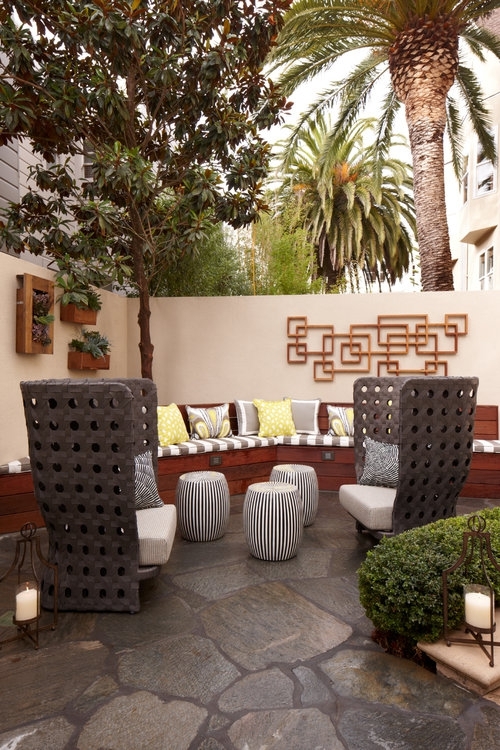 Read below for a few more beautiful outdoor decorating ideas. There’s nothing wrong with using solid fabric on your outdoor upholstery, but may we suggest a classic cabana stripe? This pattern, used by Consort Design in a client’s space, has timeless style. Though it’s a traditional print, we love how the designers have been it a little bit of bohemian flair by pairing it with kilim pillows. An assortment of different potted plants completes the look. 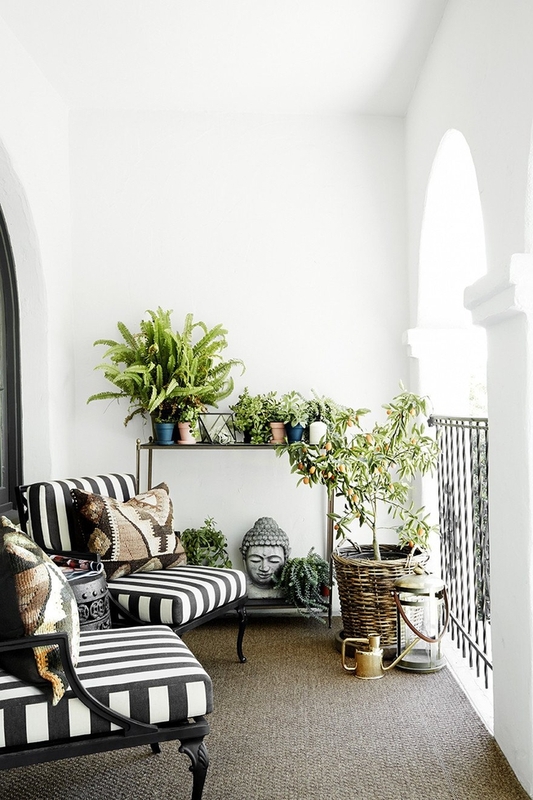 Travel is an endless source of decorating inspiration, and outdoor spaces are an especially smart place to test out different global looks in your home. For one, just being outdoors may give you the feeling that you’ve recently hopped on a plane. And furthermore, since you don’t use your space year-round, you won’t tire of a themed look. 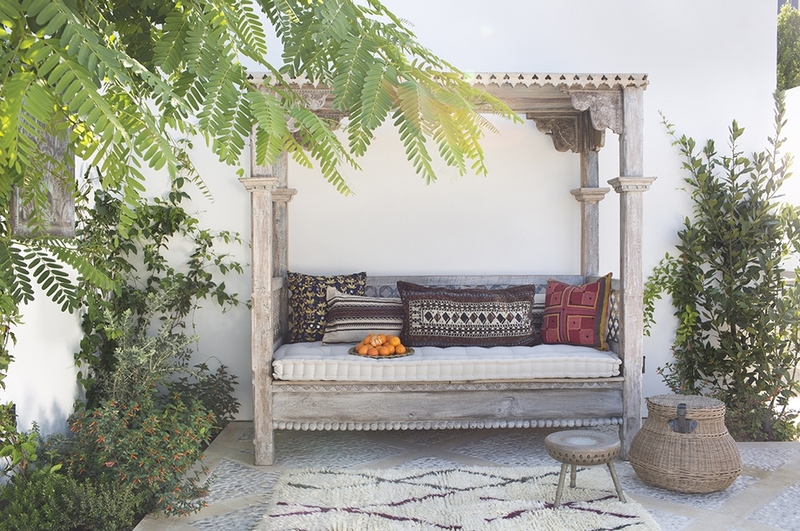 We love this Moroccan-inspired outdoor space designed by Betsy Burnham. Under lush greenery, a comfy daybed is topped with Moroccan pillows, and a handmade brass stool and Ben Ourain rug complete the look. When decorating your outdoor space, you’ll likely aim to set up a living area and a dining area, much like you would in your interior. But don’t forget to create multiple seating areas to inspire one-on-one conversation and even alone time. A pair of wingback chairs, like the ones used here by Massucco Warner Miller, make the perfect spot for private discussions, while a lounge chair tucked under a tree is a prime destination when you want to read a book or get some alone time. Nature is your best friend when decorating outdoors. 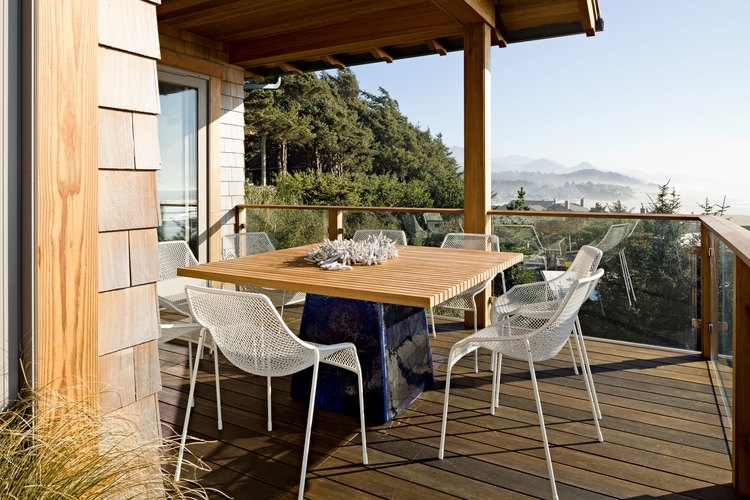 If you’re lucky enough to have a picture-perfect view of the ocean or a verdant backyard, keep it simple. A table and chairs and a potted plant or a sculptural piece, like the ones selected here by Jessica Helgerson, are all you need when Mother Nature is showing off in the background. There are not, unfortunately, as many options on the market when it comes to outdoor furniture, especially if you’re working with a small budget. But thankfully, even if you choose a simple outdoor seating set, you can personalize your look by bringing in a few pops of color in your throw pillows and decorative accessories like a tabletop try. To give your space that designer polish, finish the look with some big potted plants, trees, or other landscaping. On this deck designed by Palmer Weiss, an oversize pair of planters frames the outdoor sofa gracefully—they’re the perfect finishing touch. Этот важный интернет-сайт с информацией про https://220km.net.